Nowadays gambling has become incredibly complicated. You’re no longer simply betting on the outcome of a match or who will score first, as the amount of throw-ins and corners in a match have also become something people bet on. We’ve got a few football betting tips and tricks that will help you get more out of online betting. The most basic tip with any betting is to not gamble because the odds are good. If you pick a side to win the FA Cup because they have long odds, the chances are you’ll be throwing your money away on a side that don’t get passed the opening round. The other thing to do is to bet with your head, not your heart. Betting on the side you support to win their league is a great idea if you live in Manchester, but other than that you might be throwing money away that you could have spent watching your local club. Rather than placing a bet in play while you’re watching just because you felt like it, why not plan your betting for the season? 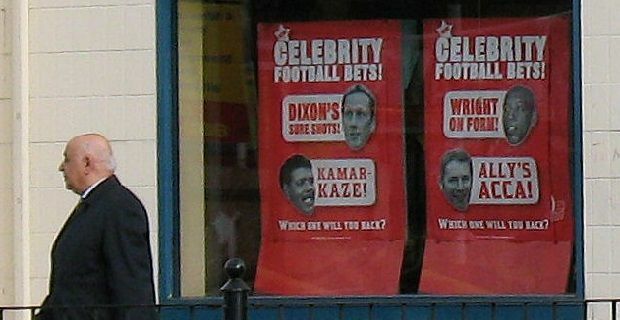 Some of the most successful gamblers have made money by playing the long game and as the football season is 10 months long with multiple competitions, there’s plenty of opportunities to place bets. If you see a side doing well in a cup competition like the Capital One Cup, you might want to take a look at their league form and place a bet there. Over time, you’ll get to understand all of the sides, all of the leagues and competitions and what you may have dismissed as a gut feeling, could be an accurate assessment of a match’s result. Even when you’ve gathered a lot of experience and you understand how to accurately predict a result, you should still listen to the experts. There’s always something to be learned from those with more experience and greater knowledge of the game.